Z loves the idea of getting post. He checks the post when it arrives through the door and gets all disappointed when nothing is addressed to him. He has a little wooden house outside in our yard and occasionally our neighbours ‘deliver post’ to his postbox there, it makes his day! So imagine my intrigue when Weekend Box asked if Z would like to review one of their Weekend Boxes. i knew he would love it straightaway! So as expected, he was over the moon to receive a box through the post. His own box, addressed to him. The box opens out flat to reveal lots of fun looking things. All the ingredients (apart from perishable items for the cooking task) for the activities is included in the box so it is brilliant for sitting down and not having to worry about buying lots of expensive addition things. 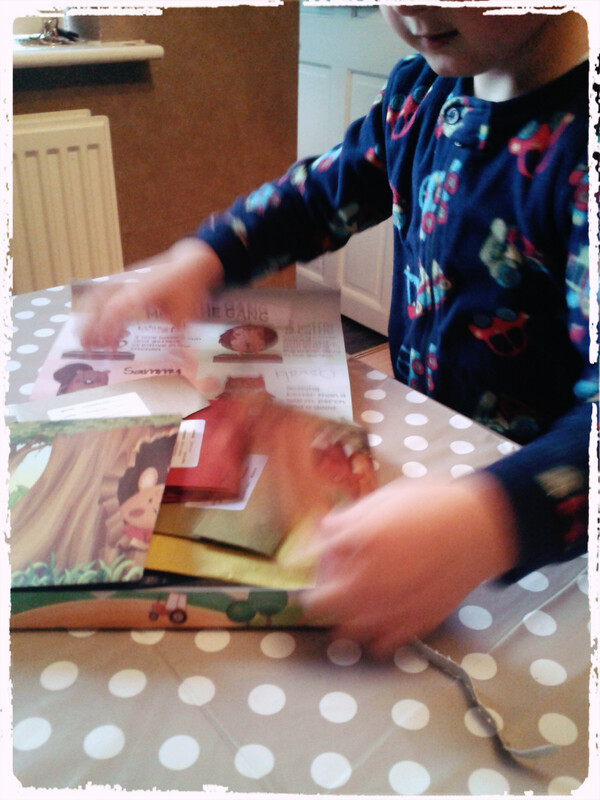 Once the box arrives each fortnight, the fun can start immediately! Z loved this activity and i can’t believe we haven’t tried this before, i will definitely be buying a ball of string so we can make more pattern prints. 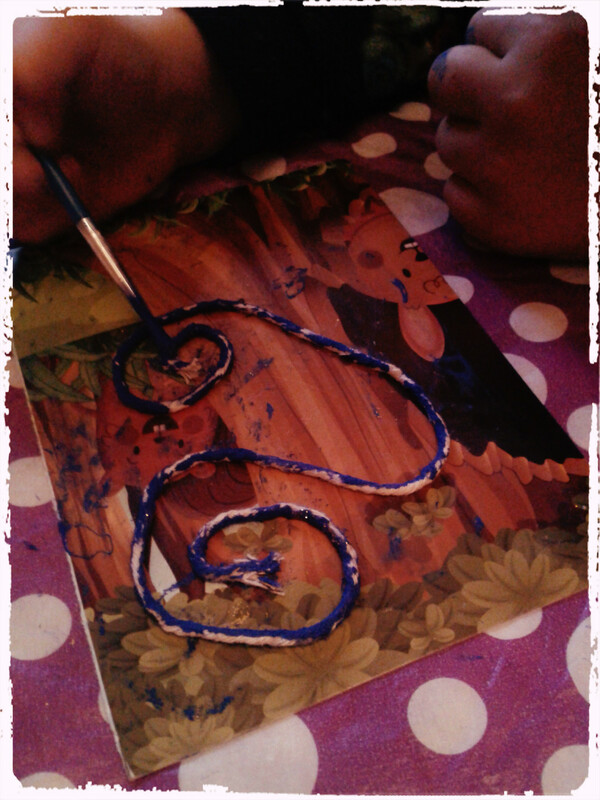 EVERYTHING from the paint brush to the paper to print on was included in the paper bag for this activity. The only additional item we needed for this was a toilet roll tube which i’m sure is something everyone has lying around somewhere in their house. The concentration on Z’s face when he was painting and adding the feathers to his parrot was so lovely to see, he just loves crafting! Last up Z made a mosaic picture. 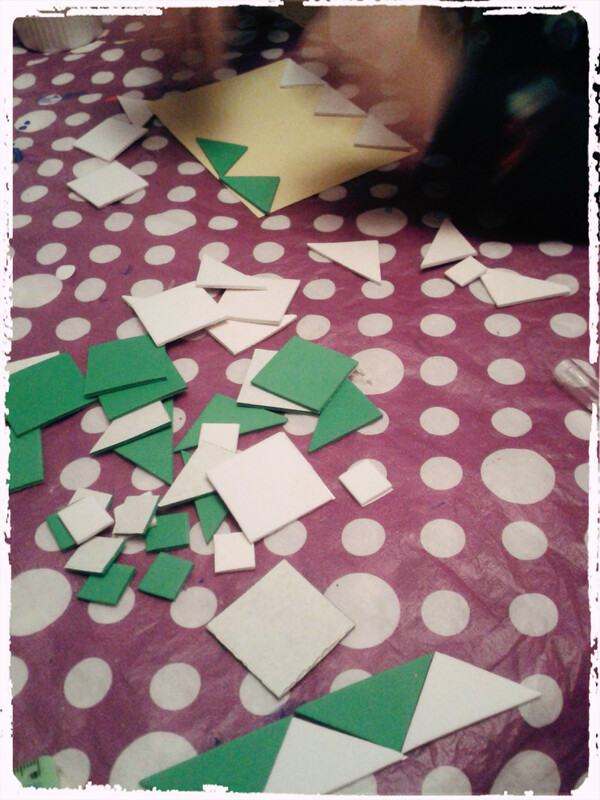 He loves stickers and he really enjoyed putting the foam shapes together to make a pattern. 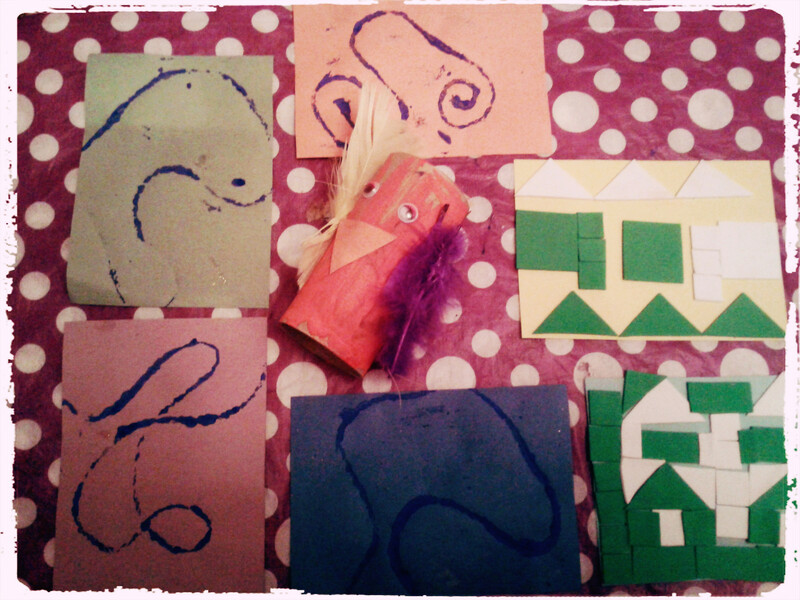 Here was the result of our afternoon of crafts, we had such a lot of fun! I think Weekend Box is a brilliant refreshing idea. 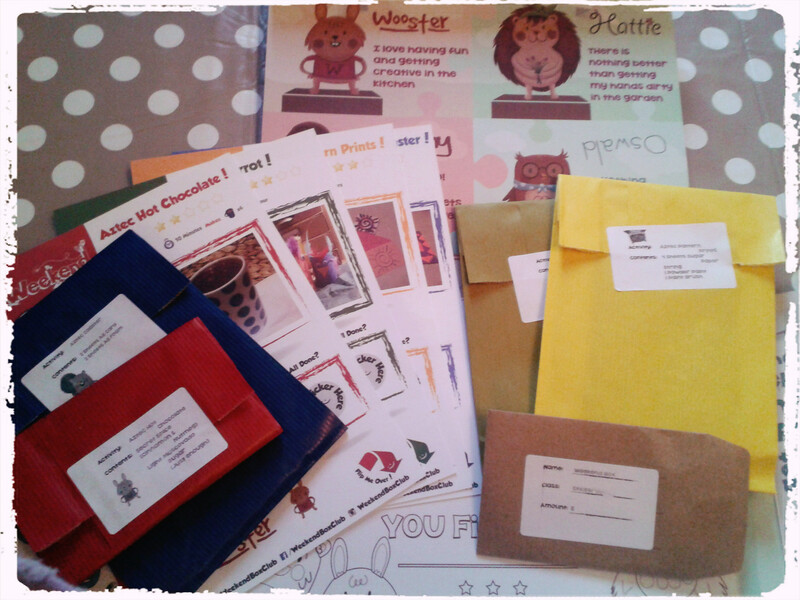 It is lovely for children to get excited about recieving post and wondering what will be in their new box and the themes are a great idea to tie all the activities together. I would have perhaps liked to have seen a little information sheet to introduce the topic in simple terms, i think this would have given a nice bit of background to start off the tasks but other than that i cant fault this innovative idea at all. The quality of all the items in the box was excellent. 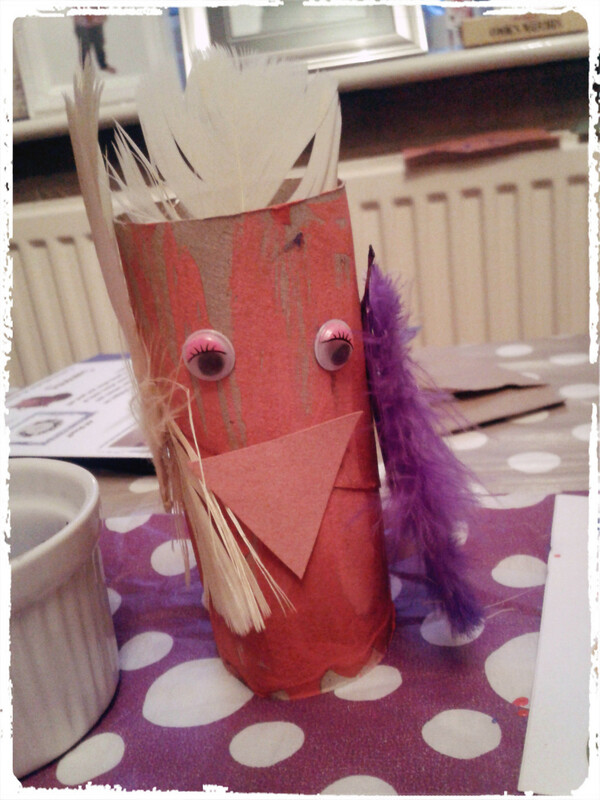 Educational, crafty and easy to make – which child (and parent) wont love these boxes? 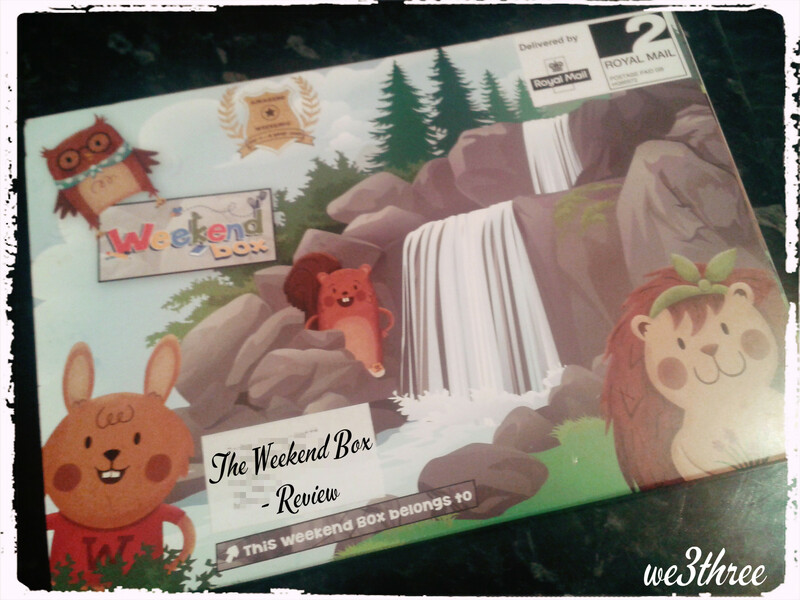 Do you think your children would like a Weekend Box? my readers can order a free box by using the promotional code RACHAEL209 from here.